Image: File:Denzer headshot.jpg, Tdenzer, CC BY-SA 4.0, via Wikimedia Commons. 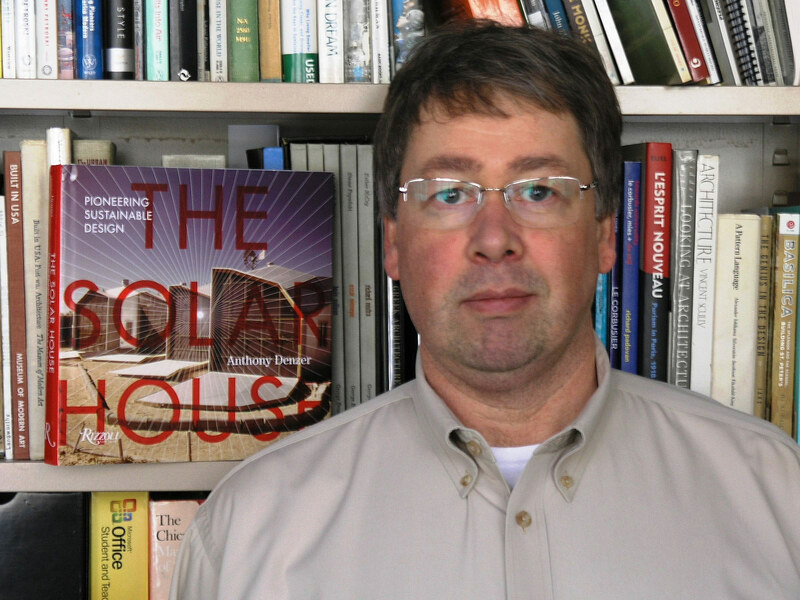 Dr. Anthony Denzer is Department Head and Associate Professor of Architectural Engineering at the University of Wyoming. He taught a Wikipedia writing assignment for the first time last fall in his architectural history course. Here, he shares why he’ll do it again. Maybe you know that Mecca Flats, built in Chicago in 1892, is a significant lost site for African-American history, memorialized by Gwendolyn Brooks in her poem “In the Mecca.” But did you know that it was originally built as a hotel for white visitors to the World’s Columbian Exposition? Or that it was demolished by the Illinois Institute of Technology (IIT) in 1952 to build Crown Hall, itself a significant work of modern architecture? I did not know these facts until University of Wyoming student Alexandra Krosley, a Junior majoring in Art, added them to Wikipedia in November 2018. Or did you know that the Church of Saint-Jean-de-Montmartre (Paris, 1904) was ordered to be demolished while under construction, due to its daring design? UW student Ione Chandler, Sophomore in Architectural Engineering, added that to Wikipedia. (And, as she made clear, it was not demolished.) Or how about the fact that “Earthquake Baroque” is a style that describes 18th-century churches in the Philippines? I learned that from Cassidy Post’s contribution to Wikipedia. Your efforts will have a real audience. Lots of people will benefit by reading your work, not just me. Wikipedia is an amazing, good thing, but it needs to be improved, especially for architectural history. You’ll develop or sharpen a number of important skills: Research, Critical thinking, Writing, Information Literacy, Collaboration. I’ve been contributing to Wikipedia myself since 2008. I don’t remember why or how I started, but I can see that I began by contributing to the page about the Baltimore Basilica (known to architects as the Baltimore Cathedral), because it had little about the building’s architectural significance at that time. (It could still use more!) I’ve contributed, off and on, ever since. So I began my course last fall with a good sense of the effort required in editing Wikipedia and the rewards. Wikipedia is a great medium for entry-level student research because of the requirement to write with a neutral point of view. I did not want these students to create their own interpretations or arguments; those are graduate-level learning objectives in architectural history in my view. I wanted them to learn to find and cite credible sources, and to exercise judgment about what’s important to architectural history that should be represented on Wikipedia. Was it a success? Absolutely. Of the 70 students in my class, 60 made significant contributions to existing Wikipedia articles, plus four created new articles. The examples I mentioned above are just a narrow slice of the overall contribution. When I stand back and consider the collective impact, I’m really proud. The best part is that the students’ efforts have a worldwide impact, rather than a place on my bookshelf. So thanks Alexandra, Ione, and Cassidy. You’re the best. And Wikipedia—the world’s best free encyclopedia—now represents architectural history a bit better. We’ll do it again next fall. Interested in adapting a Wikipedia writing assignment for your course? Visit teach.wikiedu.org to get started. Header image: File:Paoay Church, Paoay.jpg, Jose Angelo Santos, CC BY-SA 3.0, via Wikimedia Commons.